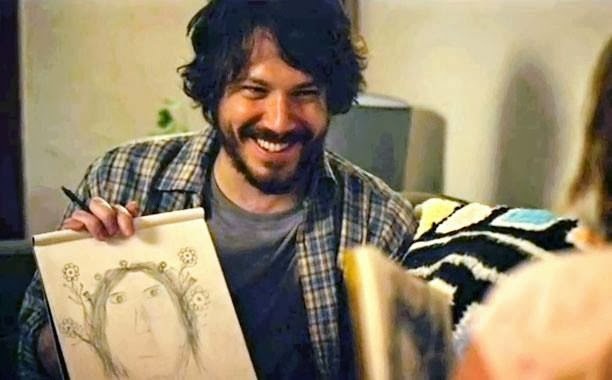 The title Short Term 12 identifies the setting of Destin Daniel Cretton’s movie, his first full-length picture. It’s a short-term facility for troubled teenagers (most stay for less than a year, some longer, until the county can figure out what to do with them). The handful of young women and men who work there as counselors are responsible for creating a safe environment for the kids, not for policing them or acting as their therapists, though, caring and committed as they are, they inevitably go beyond their job description. And sometimes they don’t agree with the judgment of the professionals, who aren’t in the trenches with the kids the way they are. When his therapist determines that one of the boys, Sammy (Alex Calloway), should learn to let go of the collection of dolls he keeps in his room for comfort and takes them away from him, the counselors are upset because they’re sure he isn’t ready. And they’re right; Sammy becomes listless and can’t get off his bed. Nate (Rami Malek), the newest member of the staff, violates the therapist’s order and sneaks a small doll to Sammy. Nate is very green when he arrives, and he makes some basic (and rather stunning) errors of judgment, but in the movie’s terms this small act of rebellion marks his coming of age as a counselor at Short Term 12. Grace (Brie Larson) goes much farther. When a complicated fifteen-year-old named Jaden (Kaitlyn Dever) with a history of cutting and suicide attempts is sent home with her father, Grace, who has intuited from Jaden’s hints that he’s been abusing her, blows up at her supervisor and goes out to Jaden’s house in the middle of the night. Grace and Jaden end up smashing up her father’s car before Grace brings Jaden back to the facility, prepared at last to make the allegations against her father that will remove him permanently from her care. Cretton, who both wrote and directed, is unabashedly on the side of the kids and the counselors; he presents the counselors’ instincts as completely trustworthy, even if, as in Grace’s case, they’re predicated on the counselors’ own psychological issues. The professionals aren’t depicted as idiots or jerks; we don’t meet many of them, and the ones we see don’t get much screen time. The movie is about the relationships between the counselors and the kids, and about the relationship between Grace and her co-worker and live-in boy friend Mason (John Gallagher Jr.) (They’re not public about their romance at the facility, but the adolescents, veteran readers of all sorts of signals, have figured it out.) In fact, the damage Grace suffered in her own childhood turns out to have been a crucial element in her training as a counselor; she cottons onto Jaden’s situation because, as the movie slowly reveals, she has a similar history, and though her past makes living with her a challenge for Mason, especially after they learn she’s pregnant, it wins her Jaden’s trust and enables her to save the girl. Mason was raised by foster parents; his story, unlike Grace’s, is a tale of salvation, but it’s had a parallel effect to hers: it’s sensitized him to the needs of troubled teens and enlisted him in the ranks of the rescuers. We’re moved to see the way the patience and frankness with which these two deal with their charges – like Marcus (Keith Stanfield), a creative African American kid approaching eighteen, the cut-off age for living in Short Term 12, who expresses his sorrow over his battered childhood in rap lyrics and, terrified of leaving this temporary home, comes dangerously close to self-destruction on more than one occasion. 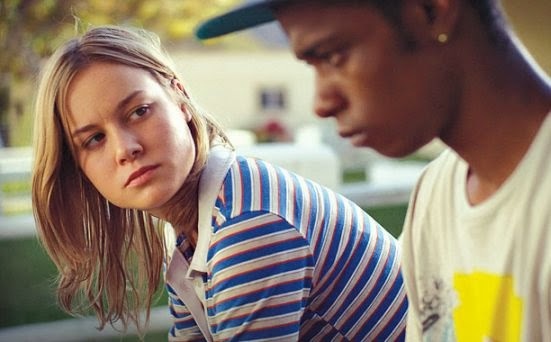 The movie isn’t without sentimentality, but most of the time the emotion feels earned; I feel no hesitation about calling Short Term 12 a lovable picture. There’s a memorable scene at Mason’s foster parents’ thirtieth anniversary celebration, where he honors them in a speech while all around him are their other foster children and their children, an alternative family that holds out the promise that some broken kids – some very lucky ones – can be made whole again. Grace has accompanied him to the party. We know (and Mason doesn’t) that she’s made an appointment for an abortion but also that she hasn’t made up her mind whether or not to keep it. When they get up to dance, he proposes marriage and, under the influence of this hopeful setting, she accepts him. But as loving and protective of her as he is, it’s not as easy for her to believe in the possibility of a benevolent family, especially since her own father, who’s in prison for what he did to her, is about to be released on parole. Cretton isn’t much of a director – some of the camerawork is terrible – but he writes three-dimensional characters and he understands how to work through their stories psychologically. The writing is on the level of good TV, and most screenwriting doesn’t reach that high. Cretton’s best quality is his ability to coax sensitive work out of his actors across the board. The kids are splendid, especially Dever and Stanfield, and Gallagher and Larson, who’s a genuine find, craft poignant, layered performances. Gallagher is stage-trained; he starred on Broadway in two (justly) beloved rock musicals, Spring Awakening and American Idiot. After he came off Spring Awakening I saw him in the Atlantic Theatre Company production of Conor McPherson’s Port Authority, and though I admired his energy, he shared the stage with the veteran Irish actor Jim Norton, and by comparison Gallagher looked like he was working way too hard. I doubt that would be the case now. He was one of the reasons I kept watching Aaron Sorkin’s HBO series The Newsroom, no matter how ridiculous it got (especially in season two), and his work in Short Term 12 may be the finest he’s done so far. He brings an intensity of feeling to his roles without drowning in it; he always stays specific about the character. Daniel Radcliffe has the same combination of virtues; they’re current on display in his portrait of the young Allen Ginsberg in Kill Your Darlings. It’s the kind of talent that often gets overlooked.